Widespread devastation can come in many terrifying forms. One of the most unexpected and destructive crises comes in the form of natural disasters. And now one natural disaster just proved one truth that too many people are ignoring. Most people understand the devastation of a natural disaster on a conceptual level. Americans have been shaken by sight of hurricanes, mudslides, volcanoes, earthquakes, and wildfires. Some might’ve even had the displeasure of living through one—or several—of these disasters. However, it still doesn’t occur to people to make the necessary preparations in advance of these events. 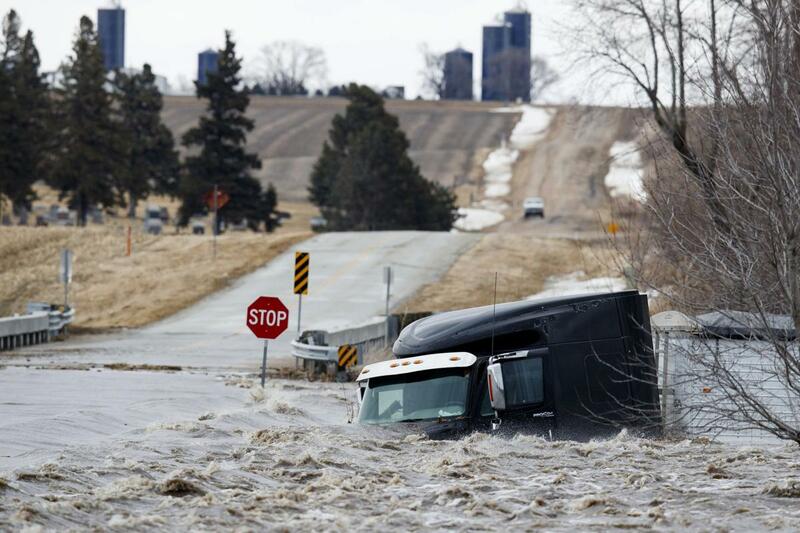 The latest example is the mass flooding in Nebraska. The crisis was caused by a bomb cyclone that hit the region hard. The flooding in Nebraska needs to wake people up to the truth: you must be prepared. Even if you don’t live in the region, prepping is a good idea. Natural disasters can strike any part of the country, and this should serve as a reminder to that fact. The effects of the flood will carry externalities to other parts of the country. The economy tends to work as an interconnected chain, which is something leftists don’t understand. They think they possess the knowledge to plan an entire economy. First, the flooding will lead to significant loss of cattle. This impacts both the business health of the Nebraska rancher and the price of beef. These abstract problems don’t hit people until they go into the grocery store and see their food budget tighten. The same thing has happened before with gas prices; most people don’t closely follow the price of a barrel of oil until they go to the pump and have to pay $5 per gallon. The surge in gas prices was a cost that was passed onto the consumer. Next, crop yields are going to be severely impacted as well. An official at the Nebraska Farm Bureau estimates that the crop loss could cost roughly $500 million. Some agricultural production will have to be delayed, or postponed indefinitely. Also, the flooding has done significant damage to the state’s infrastructure. Cost estimates to repair roads and bridges are nearing $500 million. The floods will end up costing over $1 billion in damage, and it could easily soar higher than that. And that pain could be felt by many around the country. This is why prepping is necessary. Food storage is essential in order to combat such catastrophes. Hunting for meat is also a way to mitigate the huge burden of lost cattle. Insurance is another important way to be prepared for a natural disaster. A tragic number of people don’t have hurricane insurance in Miami, or fire insurance in the California woodlands, or earthquake insurance in the Bay Area. Natural disasters are obviously frightening and stressful. Don’t add to the stress by hopelessly trying to figure out what to do in the face of one. Start preparing now so you can remain relatively calm later.